My dog, Maya, died today. 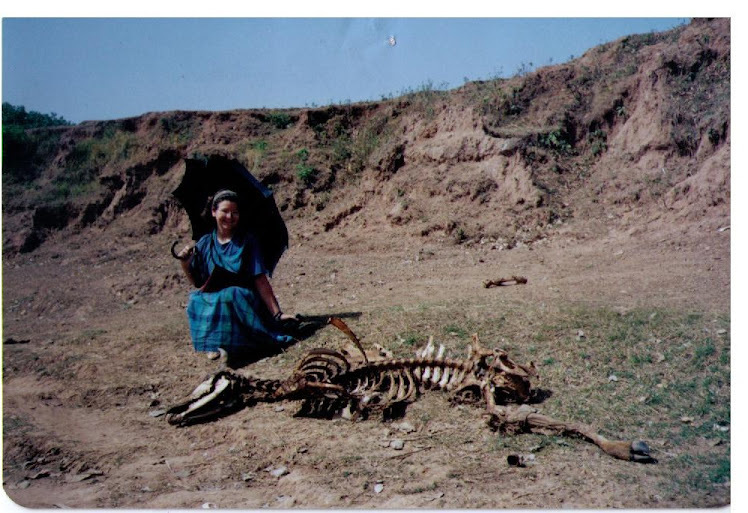 She was a thirteen-year-old Turkish street dog. I found her when she was a puppy and she's been my shadow, my friend, my companion ever since. A friend e-mailed me today to remind me of a great story. When my daughter, Coranna, was born I was walking with her and my dog in the park. A woman stopped and said, "she's beautiful. How old is she?" I told her that she was about seven and the woman gave me a strange look. I realized then that she wasn't talking about my dog, but my daughter. As my friend said, Maya was my first born. 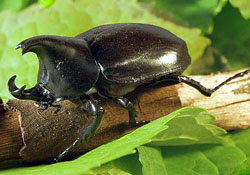 I've been thinking about giving the female protagonist in the novel the nickname of rhino beetle. I'm trying to find the Nepali name for them. I remember these guys as being harmless but noisy like a helicopter. This is a photo of my daughter with my brother and his son, Luke, this past summer. Yes, they are wearing life jackets as if they were diapers and bike helmets too. My brother, Brent, donnes the diaperman outfit when he takes his team camping, he's a coach. My daughter and I had just arrived to his house and he brought this out as an introduction, a way to break the ice. As you can see, my brother is funny. He's fun and funny. Back in high school, people used to either love Brent or hate him. When we lived together when he was in college, I noticed that most people liked him and few hated him. I think he had perfected his sarcasm, brought out more of his silliness. I'm not sure how people see him now, but his home is in constant flux as people, students, team members, neighbors, whomever come and go. These visitors are borrowing, lending, fixing, dropping off cakes. Few just stop to say hi, everyone knows that my brother is a kinesthetic guy and any convergence is rapid and with purpose. They hope for a laugh and usually find one. My brother has a visceral reaction to anything that reminds him of me: theater, the arts, reading. Oddly, I realize that I am just as forcefully repelled by sports. As I've been putting more and more humor into my writing, I realize that I'm breaking an unwritten family rule. Humor is my brother's domain. I'm the serious one, the bookish oldest. Yet, I can't help but put my characters in humorous situations. I feel apologetic when I do this, and this feeling is something no one, with possibly the exception of my brother, could understand. It's part of the paradox of family. I can't get all my photos on the post below. Here are some more. So much has changed in my life since coming to Oregon in 2001. I realized that my family's outing today is one of the few exceptions. Today follows the thread of a tradition that started when my parents came to visit that first Labor Day: a day in the Hood River area picking apples. For several years we've been going to the Kiyokawa Family Orchards. This year, Chris, my brother-in-law decided to begin a new family tradition of locking his keys in the car. Speaking of the more things change. . .it brought me back to the days of working with Chris in Turkey when he would come into my building to ask me if I had seen his keys. This time it was AAA to the rescue. I'm the picture taker so there aren't ever any pictures of me, but this year I handed off the camera for a couple mother-daughter shots. I need something to send the relatives, and Oregon is showing her most photogenic side in the fall. I had coffee with some friends today, and one friend, a poet named Jenn,talked about going for her MFA. One aspect of our conversation has been eddying around my head all afternoon. She was telling us that the program expects its writers to put in about 20 hours a week on their writing. I'm not heading out to get an MFA any time soon. It was the time aspect that really has me thinking. I do want to finish my second novel by the end of next summer. Am I putting in enough time each week? I write on the weekends and a bit during the week, but is that enough? All said I may be putting in five to six hours a week writing and another one to two reading works from my two writing groups. How can I eek out more time? It is easy to say that I can write more when I'm sitting here on Sunday evening refreshed from the weekend, but at 9:00 on a Tuesday after I've been racing around since 6:00 am, it's harder to do. Isn't that, though, what separates the dabbler from the writer? I can't give 20 hours a week to my writing. Not now. But, I can do 10. I'm sure of it. I am setting a 10 hour a week goal from now until winter break.